Absolutely crazy seeing three 918s next to each other. 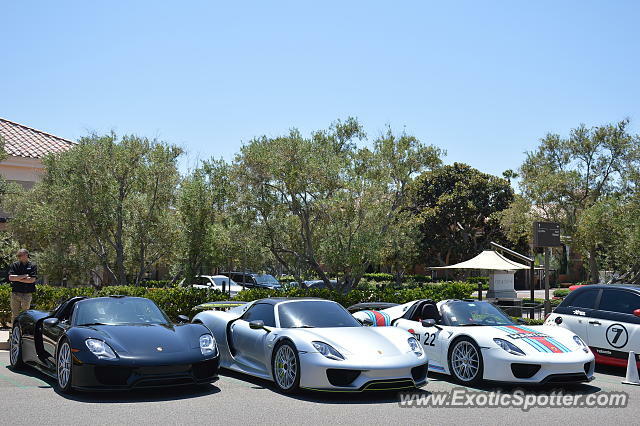 So there was a private drive only for 918s and CGTs but they all met at Fashion Island for lunch. thankfully just a handful of spotters showed up and it turns out the valet lot contained $15,000,000 worth of Porsches. So then what's with the Fiat 500?